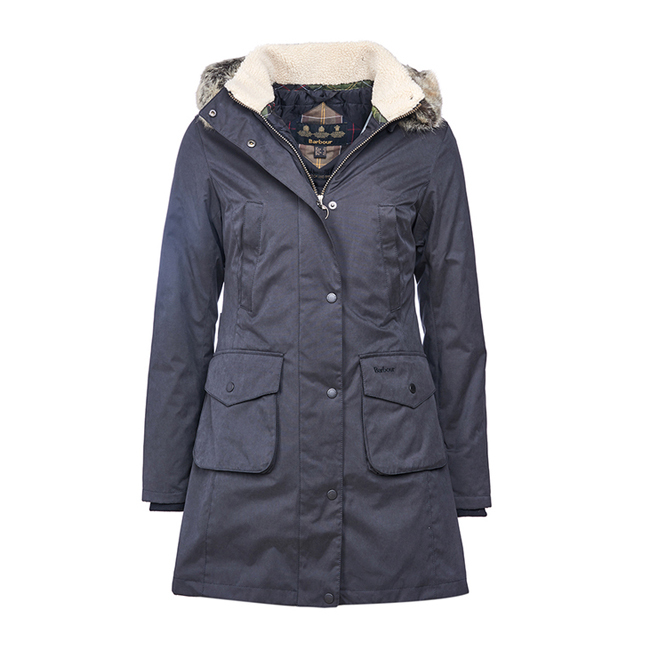 A perfect choice for days that are both wet and cold, the Barbour Haslingden Waterproof Jacket features a cosy baffle-quilted lining, ribbed storm cuffs and a generous faux fur-trimmed hood. Adjusters at the sides allow the fit to be altered to accommodate layers. just right for a summer jacket. great value. very smart.